Motown? 60s? Comedy-rock? Indie-pop? 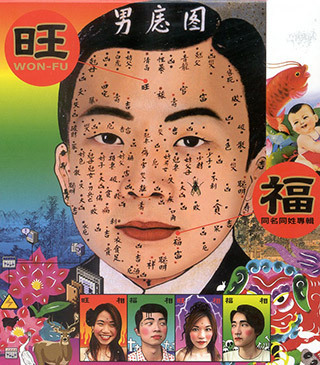 Wonfu genre is very diverse. They constantly collect the surrounding inspiration, with their unique creativity, sense of humor, music technique and imagination. You can relax and confront boring by the happiest and the most interesting music! 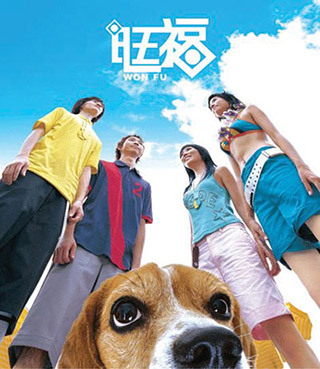 Wonfu is a Taiwanese folk-rock band formed in 1998 by lead vocalist/lead guitarist Yao Xiao-Min, bassist Twiggy, vocalist/guitarist Mami and drummer Dopy. Since then, the band has been consistently playing various music festivals across Asia cities, including Spring Scream, Formoz Festival and Hohaiyan Rock Festival, as well as having their live concert tours. 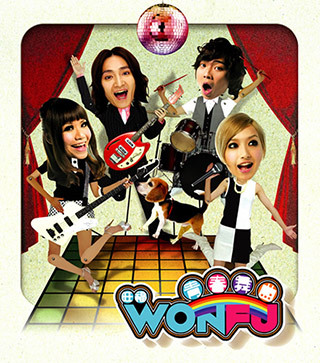 Wonfu was three times nominated for "Best Band" by Taiwanese Golden Melody Awards (equivalent to the Grammy Awards in Taiwan). From 2006, they released their Japanese version album followed by various singles. 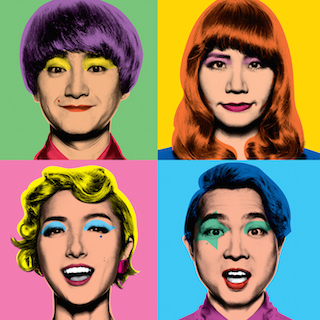 After debut of Wonfu’s 7th Mandarin album, they’ve launched international sold-out tours. Since 2011,they were continued invited to perform in SXSW. Wonfu received enthusiastic response from oversea fans. WONFU use their unique music to give the audience a cheerful vibe. 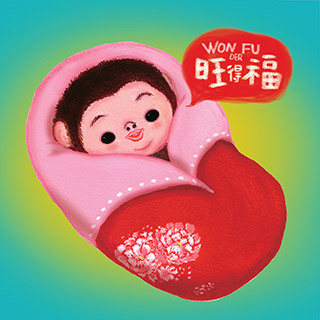 WONFU believe that ideas and inspirations can come from anywhere and everywhere; Great songs don’t have to have fancy, pretentious words in them. Thinking out of the box, WONFU has successfully created their own pattern. That’s just how special they are! Independently released, their debut album, was warmly received by a huge amount of young fans. 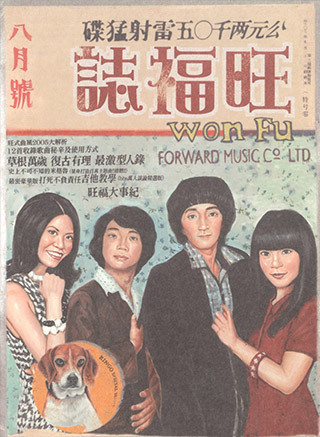 “Miniskirt” was the first song that brought WONFU to the mainstream market. With a mellow tune and full-of-imagination lyrics, “Miniskirt” gave the summer of 2004 a fresh and ice-cold touch. 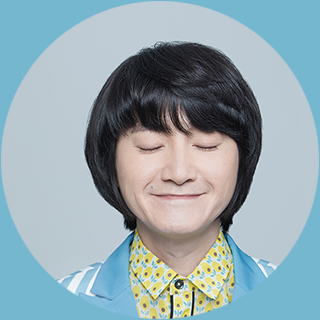 A frightening medical term “Liver Function Failure” was also written into one of the singles off the album.WONFU’s music can be described as simple and genuine, cute and catchy, and always naturally harmonious in drums, guitar, and bass. Retro is IN. WONFU released the hottest retro album of the summer; “Wonfu Magazine” takes you back to the 50’s and 60’s, the simple and optimistic years. Just Shout with WONFU, “Retro is IN”!! Released at the end of summer 2007, “Dance of the Youth” was the first album with the newest member “Mami”. Mami has a cute face, a slightly child-like vocal and fits the WONFU philosophical mold. Her passionate and emotional performance has quickly drawn attention from both the media and fans. Wonfu comes back with a new album filled with love and passion! In the past, Wonfu is the ice cream for your summer; now Wonfu is the sun in your winter, warming up every cell in your body! 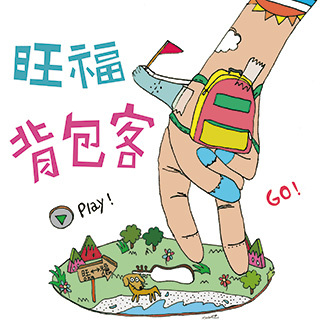 Rock into Taiwan Elementary and Kindergarten classroom, in the form of the orchestra, fun relaxing music, provide a new choice through children's musical vision. Let the children contact with band sound, and then find their own favorite sounds and establish their foundation! The moment beyond expression, we call it "WONDERFUL." 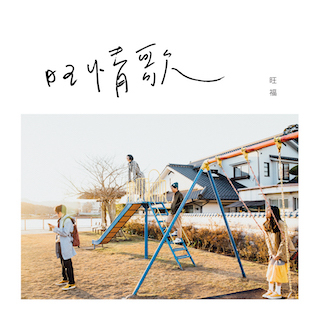 Writing and recording process took three years, in addition to Wonfu always capricious, lawless, joyful energy, for 15-year-Wonfu, also find a balance between grow up’s dilemma, create their Wonfu style. Wonfu 8th Album! The most summer album in human history!!! You have heard music and listened to love songs. But you have never met anyone, Use a very "Wonfu" tone and attitude. Positive color energy, black and white perspective,ice and fire at the same time. 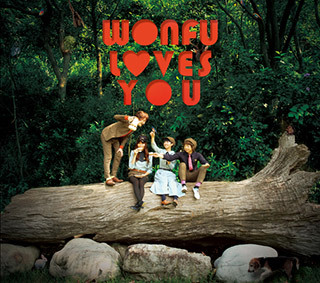 I give you - "Wonfu Love Songs", with tears in laughter. 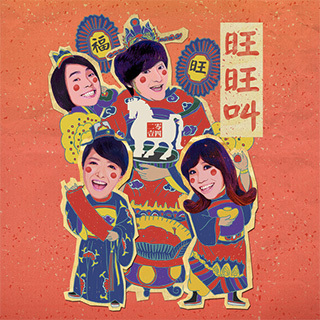 Wonfu 2014 new single "Won Won Shout"
Specially produced for Chinese New Year. Want a blessing? 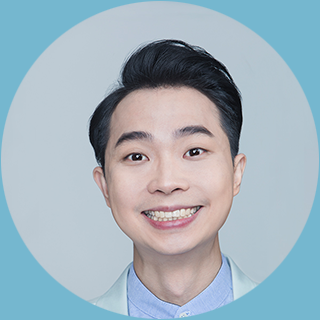 Wonfu can help! 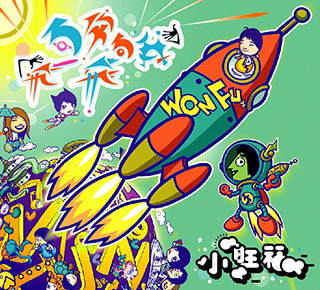 Wonfu was born from a indie music scene. Happy and punk. No one can do like “Wonfu” style in this era. Whether performing, songwriting, even their first book are hilarious to the extreme! Including nonsensical comic, practical instrument lecture (of course it will not be serious). How to survive when the economic downturn, and tricks for not paying for band rehearsing rental......, whether you are interested in indie bands or not, reading this book will admire them with the utmost sincerity, F.O.F.L! 2005 Awarded “2004 Best 10 Album of the Year”, “Best Single of the Year—The Shouting of fat girls” of The Association of Musicman Taiwan 2004. Nominate “The Best Band of The Year” by The Golden Melody Award in Taiwan. 2005 Nominate “The Best Band of The Year” by The Golden Melody Award in Taiwan. 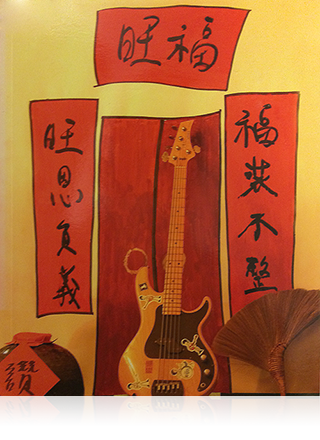 2006 Awarded “2005 Best 10 Album of the year—Wonfu Magazine” of The Association of Musicman in Taiwan. 2006 Nominated “The Best Band of The Year” by The Golden Melody Award in Taiwan. 2008 Nominate “The Best Band of The Year” by The Golden Melody Award in Taiwan. 2011.4 Perform in ''ifkids“ theater drama -”Uncle's Penhouse"
2014.3 Perform in SXSW 2013 and tour in Houston, Austin, Vancouver, San Francisco. 2005 Nominated “The Best Band of The Year” by The Golden Melody Award in Taiwan. 2008 Nominated “The Best Band of The Year” by The Golden Melody Award in Taiwan.